Desperately Seeking Adventure: The Final Countdown! Time is ticking by, the last ten months or so have been absolutely mental! I literally have less than five working weeks of my placement remaining, so I see now a good time to see what elements have made the final countdown. From my early morning shifts at Newark Airport to that leisurely Puerto Rico time, I have been blessed during this placement year! Yes, B! I might not of mentioned but I have been working as a Passenger Services Agent since February 2012 as part of my university work placement. I simply had to serve an element of my airport days into this 'final countdown' post! From my first shaky days I have grown into the airport environment from my take on things, I'm now used to reaching Newark Liberty's Terminal B for my morning shift at 03:30 for our early morning VS18 flight bound for London Heathrow Airport. Learning to check passports, making sure those expiration dates and visas were in check took some consideration but I know what I need to look out for, nothing or no one who's shady gets past my check-in desk! Through the nature of the job I have built up a special and straight-forward character that helps me to get my job done! My friend Brit knows what I'm talking about, we all have those moments to deal with life! Don't we though B?! Seeing the Virgin Atlantic cabin crew alight from their 'Golden Touch' coaches from their New York City hotel does make me think about becoming a flight attendant once I graduate from university but I'm enjoying the airport life for now. I have been fortunate enough to have worked in the Virgin Clubhouse since my early months at Newark Airport, I must have the flare and personality to be looking after some of the airlines most lucrative and famous clients? Whatever it may be I have built amazing friendships with my Clubhouse sisters, Fiorella Sanchez works with me some mornings and we have a brilliant time working our clubhouse to perfection! Yes, my working team is small and people do talk but I know what I'm here to do, I'm good with that! I won't lie, I'm going to miss the check-ins and conversations with passengers on daily basis, but I'm loving the journey! Working split shifts has made my sleeping pattern crazy, I cherish a full nights sleep but this opportunity wins! Totally, Toronto? Yes, I boarded my first international flight since arriving from England to Toronto's Billy Bishop Island Airport with Porter Airlines. Thanks to our boarding gates being in close proximity I managed to get a helping hand when I missed my early morning flight from Newark Liberty! Typical that I work at an airport and I end up being late for a flight! 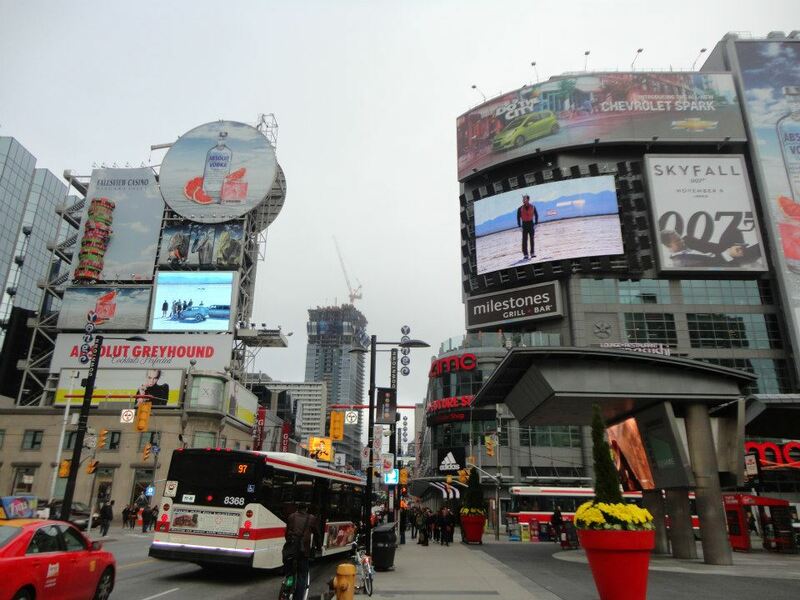 Canada opened a new door for me, I stepped into a modern and funky city that was in the form of Toronto! 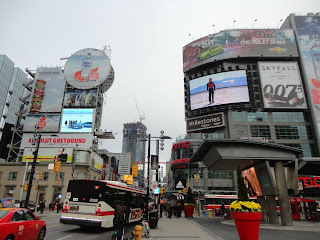 I adored the vibes that Toronto's Dundas Square served, it was like breath of fresh air to see Queen Elizabeth on their Canadian Dollars and to hear a sort of familiar accent spoken! I had came to Toronto to see my former Walt Disney World co-worker, Alexandra had some time free during my dates in Canada, we planned to met up on my first evening. We went for a hearty meal at Jack Astor's, I found a proper can of Strongbow Cider at Jack's! O' Canada! 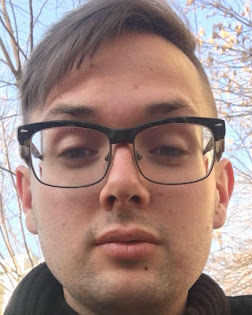 Marrying the night we pre-drank to the heavens, hitting Toronto's Gay Village I was in my element! I hadn't gone into experience New York City's rainbow night scene, so I was living to see the sights and delights of Toronto's best corner! Let's just say a great night was had by us all but a gentlemen never reveals such encounters! Bright and early the next day I somehow got my MegaBus to see the Niagara Falls, I don't know how I did but it was worth it! Standing behind the safety bar allowed me to see the raging waters of the Niagara Falls, if I looked closely enough into distance I could see the American side! Of course I visited the CN Tower, it was only a short walk from Billy Bishop Island Airport so I did that first but I didn't appreciate the price tag! During that time during my placement I had been given some crazy news to stay within the U.S border but I wanted to explore Toronto, Canada! I gave my 22nd birthday a French flavour as I spend it in Montreal, Quebec! Summer 2012 was a memorable time for many reasons that have made the grade during this 'final countdown' post. Breaking out of the Newark's Ironbound I took the NJ Transit train down to Point Pleasant to relax and tan at the beach! The temperatures soared during August to digits that I can't remember! Like an adventurer I took a chance on Delaware to see what Wilmington had to offer, people told me I was crazy to visit that state but I was motivated by their negative opinions. Little did they know that Wilmington showed me three respectable sights during that summer day! Washington, D.C gave me some respite from the manic working hours I was pulling off at the airport, those late to early shifts had me fried! Two days in D.C did the trick, seeing those presidential landmarks along the National Mall injected some American pride into my life! Yes, the Obamarama Overness was all that I needed! Who said PR?! I had almost maxed my holiday allowance, not caring about that one bit I booked up to spend five days in Old San Juan, Puerto Rico! Getting to the 'enchanted island' was no problem at all because Puerto Rico is a commonwealth nation that's part of the United States. I loved the Spanish colonial nature of Old San Juan's cobbled streets and period feature buildings. I took great pleasure exploring two historic sites, including; Castillo San Felipe del Morro and Castillo San Cristóbal. Seeing the pride that Puerto Rico possesses was amazing as at every opportunity their very own Puerto Rican flag proudly fluttered in the breeze! I crisscrossed into a part of town that served an edge for sure, it was not a tourist experience but that's why I loved it so much! Captured above is the El Yunque National Forest, I took an amazing day trip where I felt like I had been transported to another world! My 'final countdown' now stands complete, I will make the most of my remaining five weeks!